Hernandez’s resignation letter was delivered to the court as county commissioners were set to file a removal petition against him. 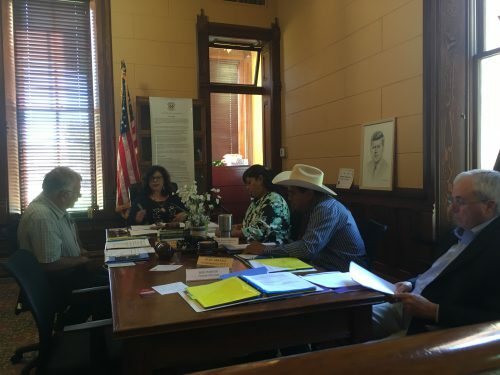 The Presidio County commissioners will now look to fill the Precinct 3 vacancy. In July — shortly after Hernandez was arrested on federal bribery charges — the court initially asked him to either voluntarily resign or take a temporary leave of absence. By the end of that month, Hernandez had informed the court he would be taking a leave of absence. During that time, according to the Big Bend Sentinel, Hernandez continued to receive his annual salary of $18,000. Additionally, the Sentinel reported, the county continued to pay nearly $700 in benefits for Hernandez. Along with Presidio official Carlos Nieto, Hernandez is accused of defrauding the city and receiving kickbacks in order to secure a contract for a computer software company. That company, however, was part of a sting operation set up by the FBI. For two years, agents investigated Hernandez and Nieto. Hernandez allegedly received more than $19 thousand dollars for his reported role in securing the county contract.